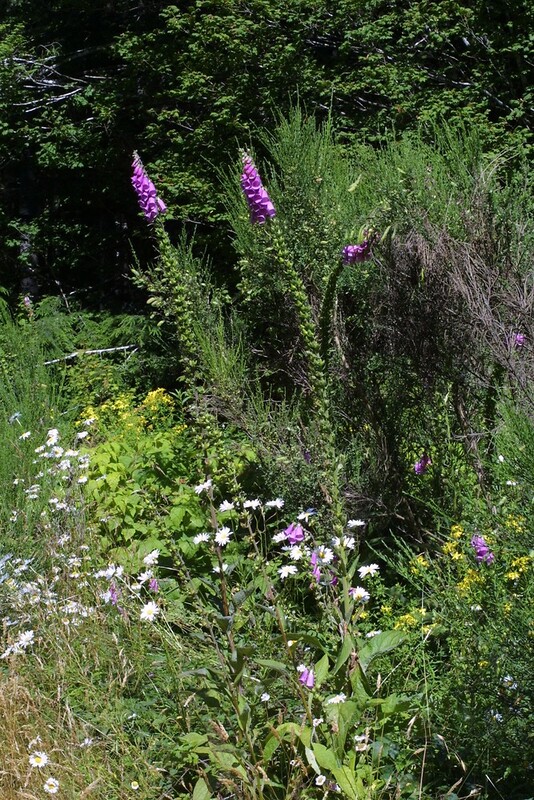 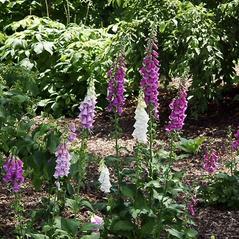 Purple foxglove is a non-native plant with dramatic purple flowers. 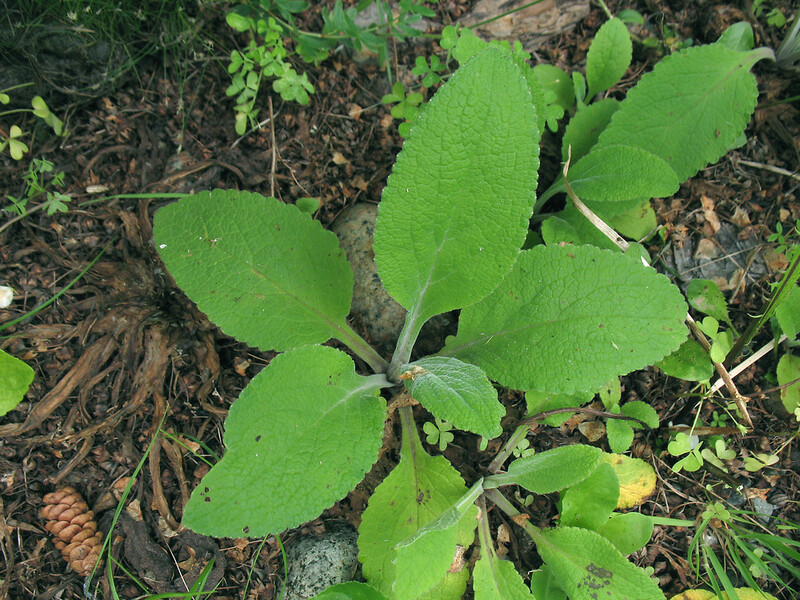 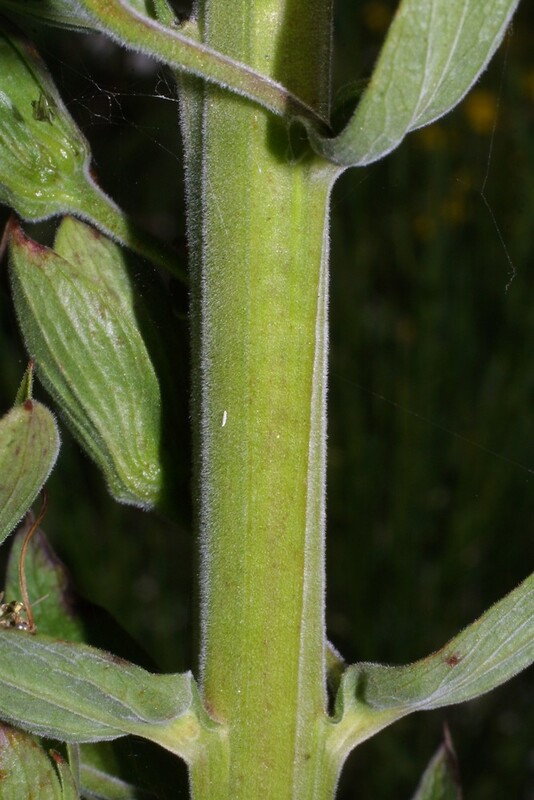 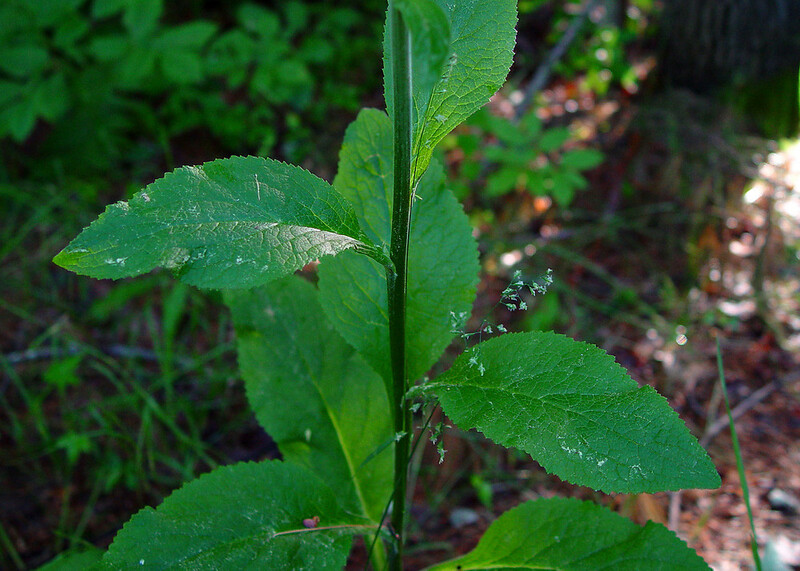 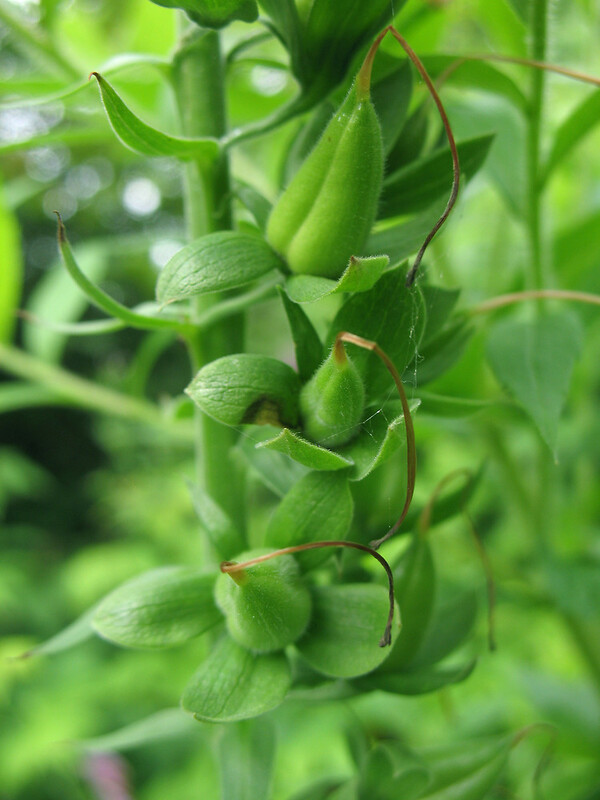 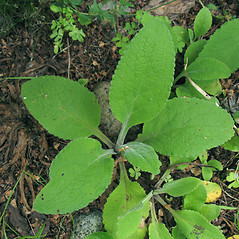 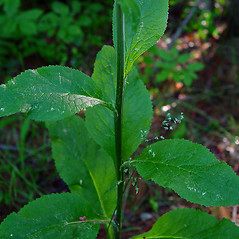 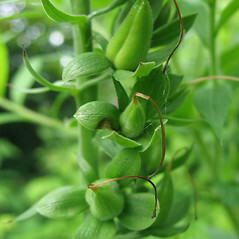 Its leaves are the source of the heart drug digitalis. 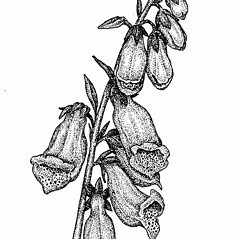 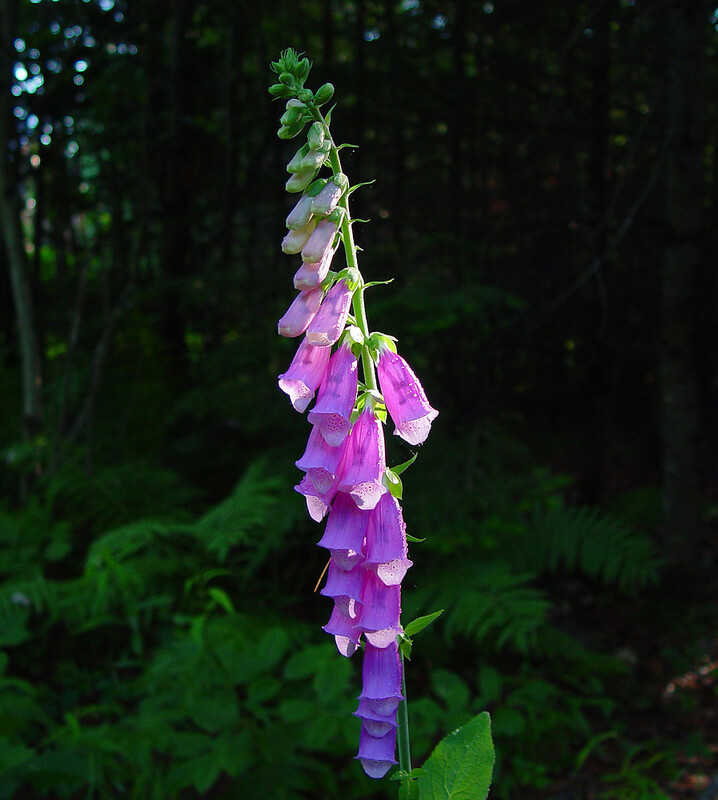 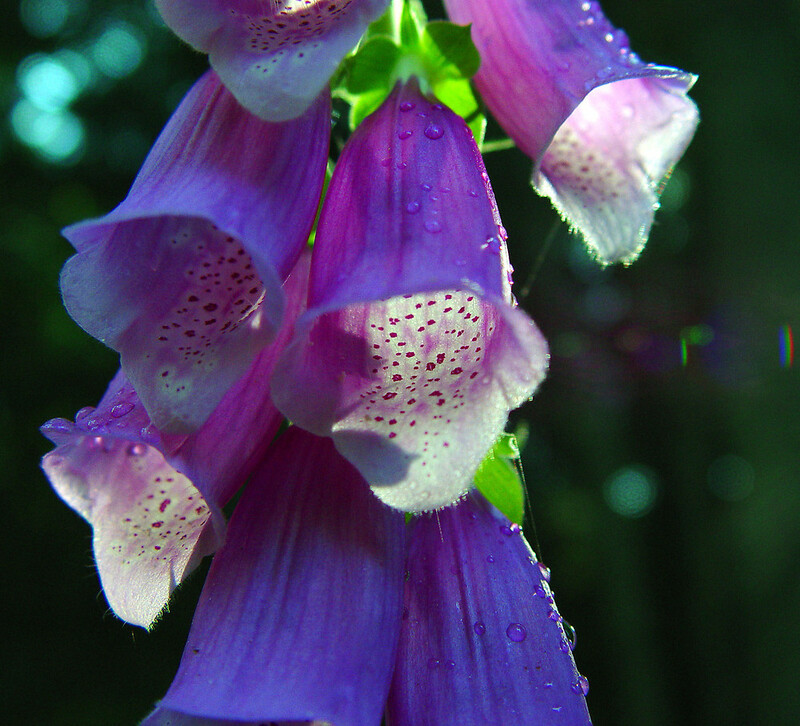 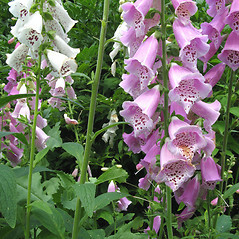 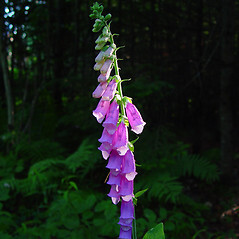 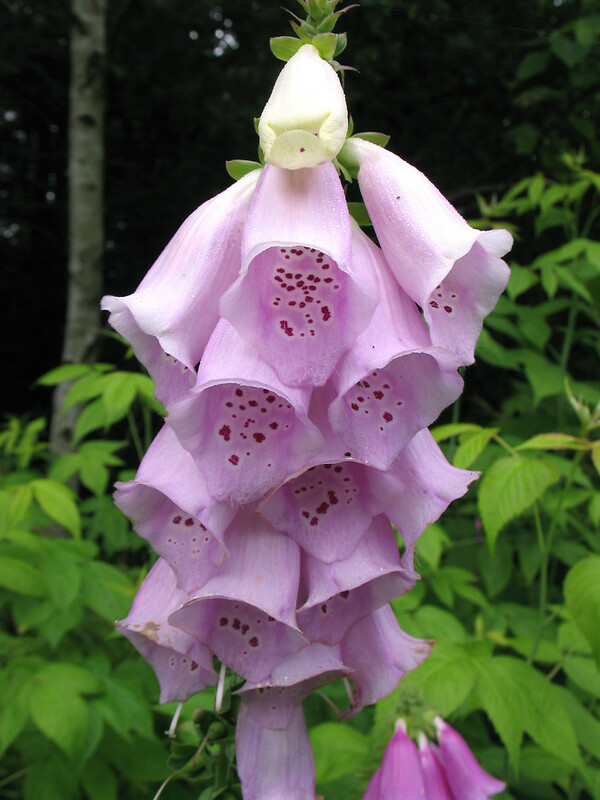 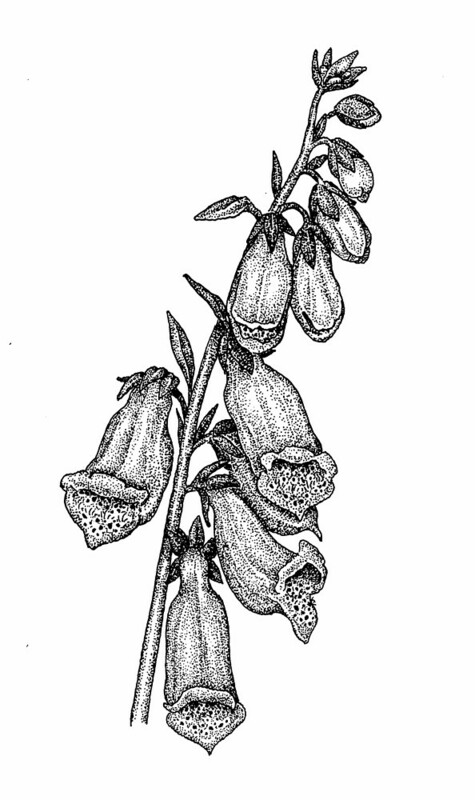 Purple foxglove was used in traditional medicine in Europe. 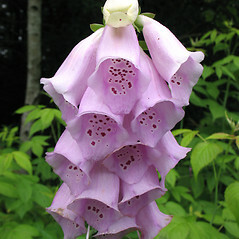 sepals 10-15 mm long and mostly 6-9 mm wide, and petals usually purple to pale pink or white (vs. D. purpurea, with sepals 7-10 mm long and 1-2.5 mm wide, and petals white to pale yellow). 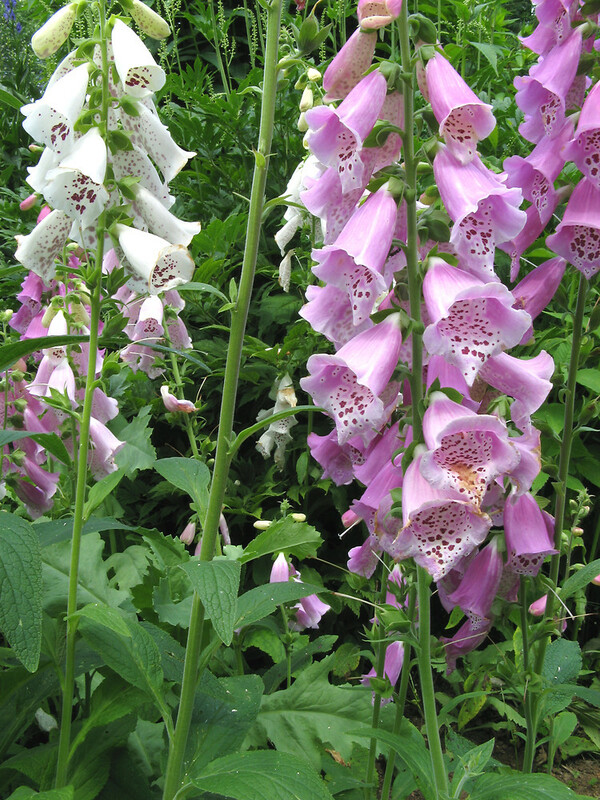 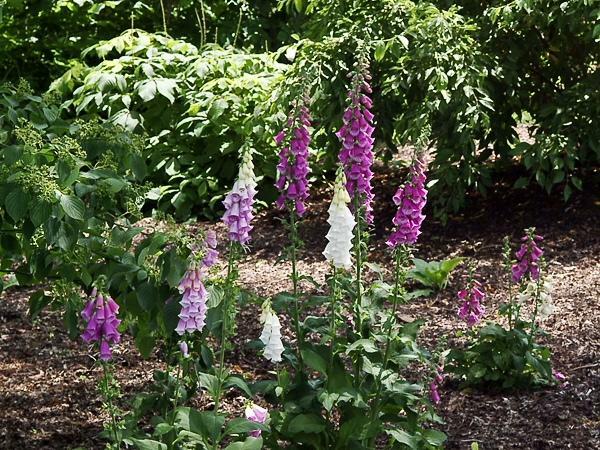 Our variety is Digitalis purpurea L. var. 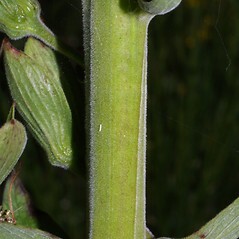 purpurea. 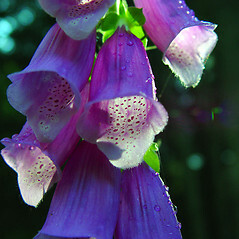 purple foxglove. 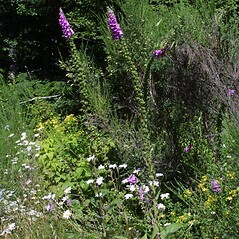 CT, MA, ME, NH, VT. Fields, roadsides, yards, dumps.